Unless a CSR’s ulterior motives are to maximize returns to its share holders in the long-term (there is historical evidence that markets like long-term planning) they shouldn’t even set on that path, it’s a path to the sunken millions(read $’s). But there in lies the dilemma? Do CSR for CSR’s sake or do it for real returns, where does one make the distinction, and more precisely who makes the decision? 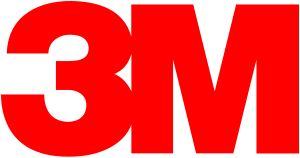 3M’s recycle of used bottles in their products. In other cases like the Coke case and the BP case we discussed tonight, the CSR’s were way orthogonal to what they did in their day-to-day, so why even embark on such an attempt, dump so much cash into it and get a bad rep as a result? My question is this, did the Management see this fiasco coming in the near future? what made them take that dive into things like this?